Norwex can help! We have these these amazing little tools, the Rubber Brush and the Lint Mitt, and a bigger tool, the Rubber Broom. They are so simple, yet incredibly effective for a variety of different uses! 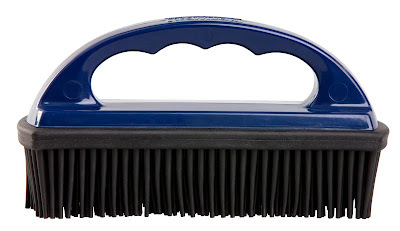 Norwex sells the Rubber Brush specifically to help clean the mop pads or even the dusting mitt (just brush the dirt, debris and dust off and it is good to go!) which helps keep these products clean between washings. However, it is a fantastic tool that can be used all around the house and has a multitude of other uses as well. You can use it to remove pet hair, lint, human hair, dust, and even dried-on dirt from carpet, furniture, car seats, and beds. Do you have carpeted stairs? 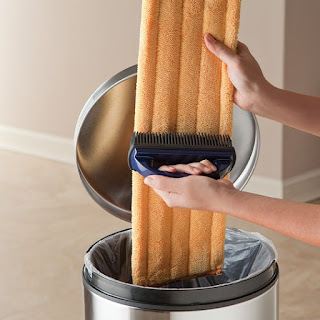 Simply brush each stair to remove all the hair and dust. What about fabric furniture? Use the Rubber Brush to pick up hair and sweep crumbs out from under the furniture. Carpeted floors? It is a fast and easy way to remove pet hair, dust, lint, and any other unwanted debris. The vacuum cleaner is too cumbersome for some jobs. Messing with the attachments for the stairs or the sofa cushions takes a lot of time and it’s a hassle—not to mention the electricity you’re using. 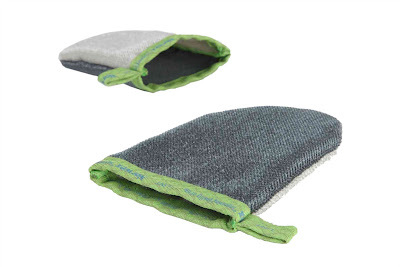 And sometimes you just need something smaller to remove stuck-on dirt and dust from your Entry Mat or Mop Pads. Save time, electricity and effort by using the Rubber Brush for small, spot-cleaning jobs. It’s great for picking up pet hair, dust, dried-on dirt and other debris from carpet, clothes, furniture, car upholstery and more. The Norwex Rubber Broom is a multi-functional broom and squeegee combo and is perfect both indoors and out! Its electrostatic action easily removes pet hair and fuzz from carpeted stairways, with no flyaways to chase down. 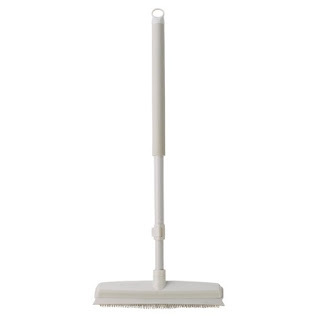 Flip it over and the durable rubber squeegee side is great for drying decks, pool areas, patios, balconies and more. Handle extends to reach further. Rinses clean with water. 78 – 126 cm / 30.7" – 49.6"
To pick up lint with the Lint Mitt, start brushing against the grain of the mitt. To go in the other direction, simply turn the mitt to the other side. Use one side for each direction. It is also great for use on furniture and car upholstery!